Philippines is definitely a beautiful country with a lot of tourists’ spots for visitors all over the world. Mostly, they visit spots such as lakes, beaches and other water bodies where Philippine’s nature is truly rich at. Other than that, there are more natural richness Philippines have. One of those is the Monfort Bat Cave. It is now a designated key eco-tourism site of the region. 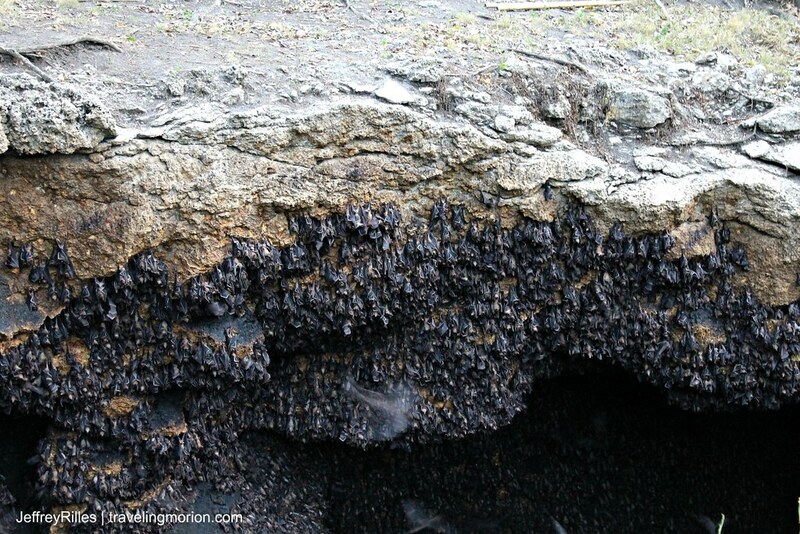 The Island Garden City of Samal in Davao del Norte is home to around 90,000 people- and millions of bats. 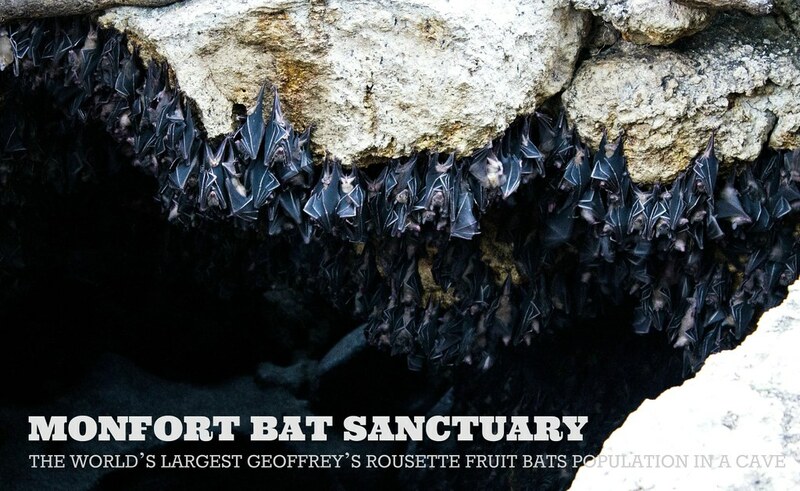 The world’s largest known population of Geoffrey’s Rousette fruit bats is found in the Monfort Bat Cave located in Barangay Tambo, Samal Island, near Davao City in southern Philippines. 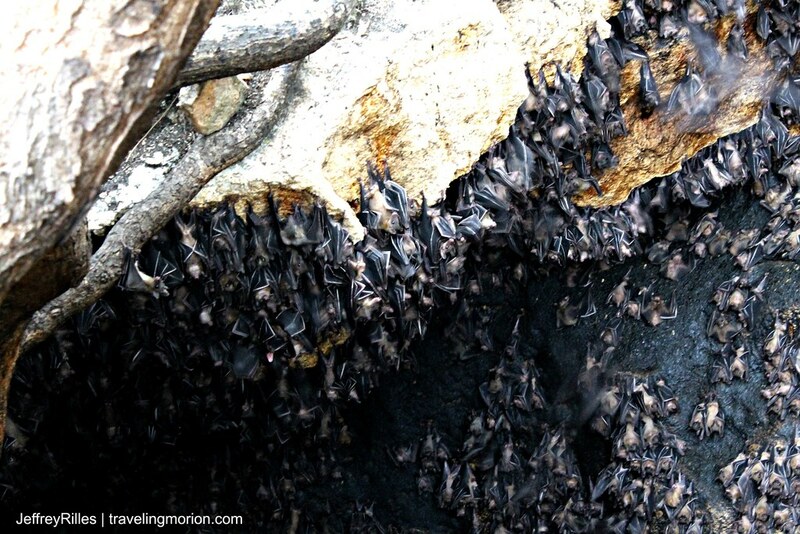 The Monfort Bat Cave was officially recognized by the Guinness World Record in 2010 as largest single colony of this kind! And Ranked #3 of 9 Attractions in Samal Island and a recipient of Certificate of Excellence 2014. 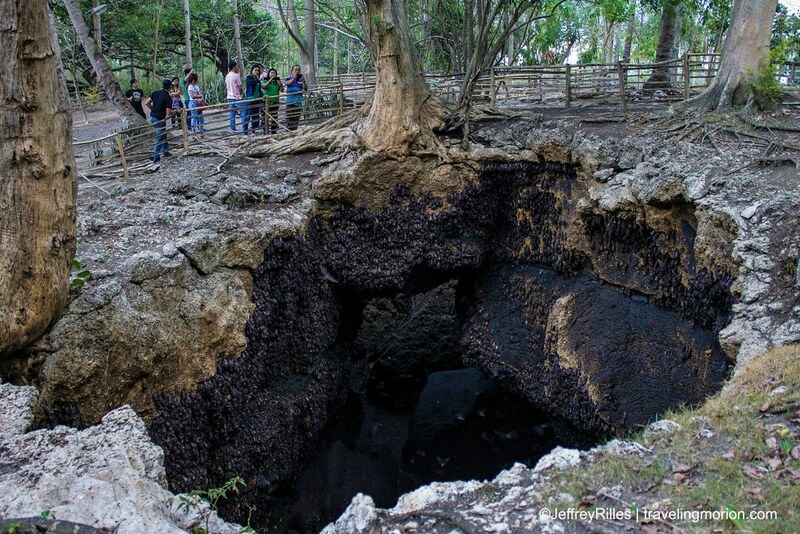 Visitors from all over the world flock to visit and enjoy public bat-viewing at the Monfort Bat Cave. The Geoffrey's rousette with scientific name Rousettus amplexicaudatus are found in tropical areas. They prefer lower elevations near coasts. This type of bats is one of the most common bats found throughout the Philippines. 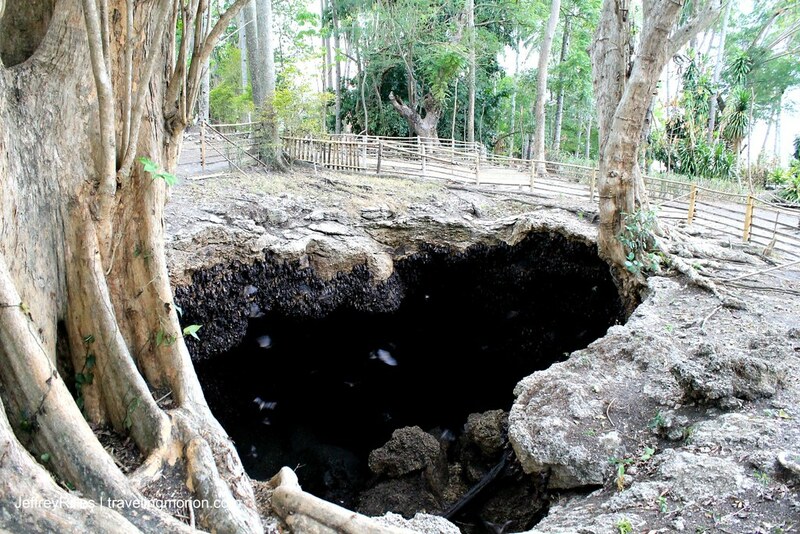 However, it is very evident that cave roosts are nowadays practically empty due to human disturbance except for Monfort Bat Cave where they are teeming with thousands of bats per available wall and ground areas of the small 265 ft. limestone cave. Senior Citizens and adult students should bring their ID’s to avail a 20% discount. Senior Citizens will prepare 80.00 Php. Actually there are several ways that you may consider in getting to Samal Island. Check this detailed travel guide: Getting to Samal from Davao City by PinoyAdventurista. Monfort Bat Cave and Conservation Foundation (MBCCF), Inc.
We were there last summer, and the only thing I could remember is the stunk. Right even after being in the hotel, and have had showers, we still couldn't forget the smell that comes out of the caves. I can't remember the last time I went to a place similar as this. The bats are stunning! This would be a nice learning experience for the kids. 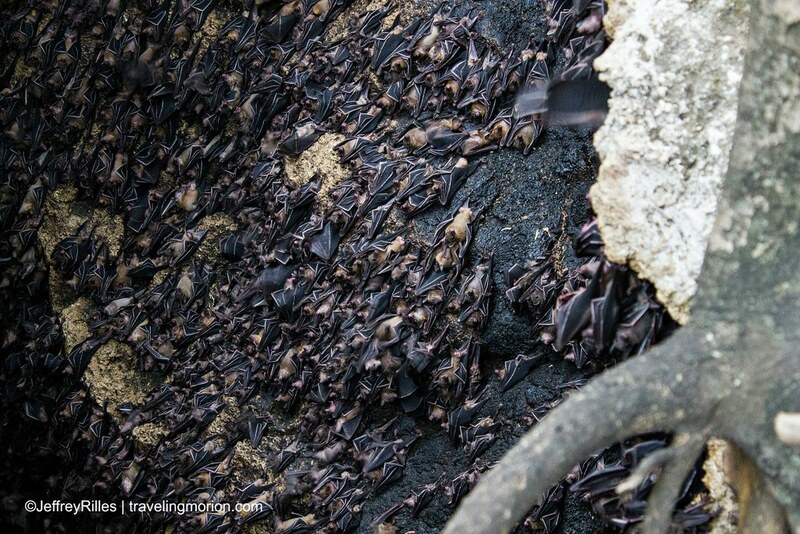 OH Wow, the biggest bat population I've seen in the Philippines was during our school tour but it is nothing compared to this! It must be a sight to see! Wow! those are just awesome shots bro. Very earrie lang ang dating sa akin. Guess, I am not fond of bats. Mapanghi sila. Wow! that is a lot of bats to see. I would LOVE to explore more of the Philippines when hubby retires. I have not visited Davao City and it's provinces when I use to live in the Philippines though I as raised in Mindanao island as well.